Since movies in the old days weren’t heavily reliant on CGI, the majority of film sets were actual locations transformed for the needs of cinema. Even after growing up and embracing the world of today, it can be nice to break down the barrier between fantasy and reality and see the places where dreams came to life. This 1993 blockbuster took place on the island of Isla Nublar, part of the mythical Cincos Muertes island chain. It was originally scheduled to be filmed somewhere off the coast of Costa Rica, but Steven Spielberg ultimately chose a more accessible—and absolutely stunning—location for the prehistoric park. 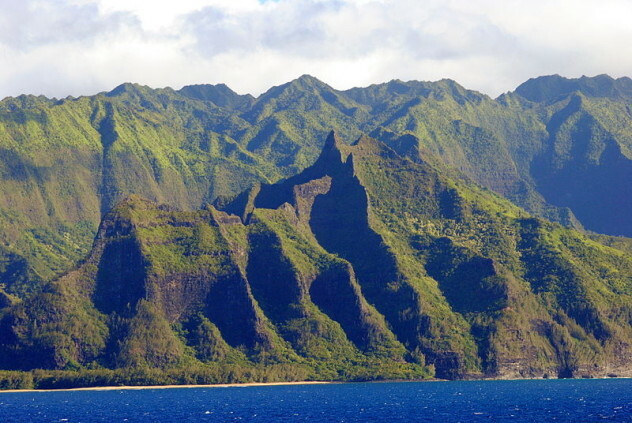 Before the island of Oahu, Hawaii became the home of big-budget productions like Godzilla and TV’s Lost, Universal Studios recreated the magical yet terrifying animal preserve from Michael Crichton’s classic novel upon the soil of Isla Nublar. Regular tours allow visitors to explore the island on horseback or in ATVs and Jeeps, riding across the plains where Malcolm and Ellie first spotted the giant brachiosaurus or through the valleys where Grant, Lex, and Tim ran from the massive tyrannosaurus. The small town of Astoria near Cannon Beach, Oregon is known by locals as a great place to take midday walks in the sand, scour flea markets for good deals, and enjoy long, winding drives in the country. To the rest of the world, it’s famous for being the shooting location of one of the most treasured films of the ’80s. The final scene of The Goonies, when the pirate ship emerges from its hiding place and sails from a cave, will forever be a purely nostalgic moment in cinematic history. It happened right here, in one of the famous Pacific Coast rock outcroppings. 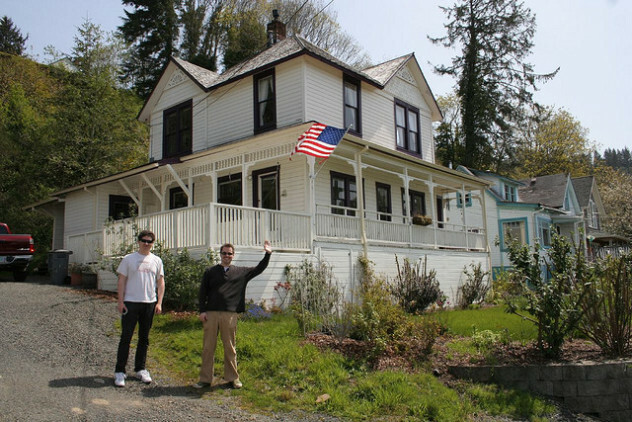 The “Goonie House” can be found at 368 38th Street, with other homes used in the film scattered throughout the surrounding area. The location of many of the beach shots, including “Goonie Rock,” can be found a few miles away at Haystack Rock, although the beach where the final scene was shot requires a lengthy trip down the coast to Goat Rock State Beach in California. Shawshank Redemption is considered one of the best movies of all time. It takes place inside a penitentiary in the late ’30s, where the characters played by Morgan Freeman and Tim Robbins spend the remainder of their life sentences seeking meaning in life on the inside. Through a series of cunning moves, the protagonist finds a way to escape one of the most secure prisons in the country. 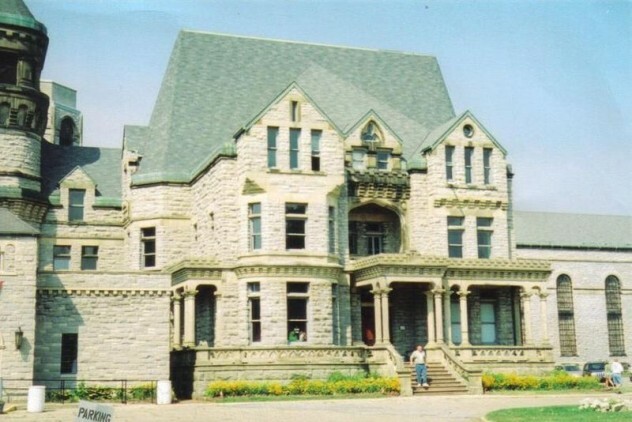 Shawshank Prison, like most of the settings in King’s novels, is completely fictional. However, the prison where the movie was filmed, the Ohio State Reformatory, is still standing and open to visitors who want to see where a Rita Hayworth poster and a tiny rock hammer once freed Andy Dufresne from a life of imprisonment. Though it was closed in 1990, it later reopened as a preserved site. Spoiler alert! The humanoid apes and monkeys in the Planet of the Apes series were not inhabiting a strange, distant world. They were, in fact, inhabiting various areas of Arizona, where the cliff walls from several of the establishing shot scenes are still visible, and Lake Powell, Utah. The lake was created in the ’60s and took 11 years to reach its highest level. The lake now looks a lot different than it did when filming began, with over 150 meters (500 ft) of water now present at the Glen Canyon Dam. 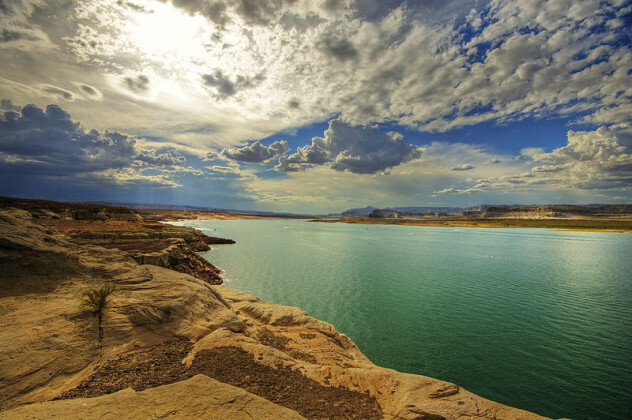 The reservoir provides water to Flagstaff, Phoenix, and many other cities along the Colorado River. The canyons where most of the film was shot are easily accessed with a boat trip and a short hike. The area is now a popular cliff-diving location. In the early 2000s, Harry, Ron, and Hermione grew up among monsters, magic, and mystery that captivated the imaginations of everyone who witnessed it. The Hogwarts School of Wizardry, where most of the action happened, actually exists, and visiting doesn’t require a special invitation via owl. The only requirements are a train ticket (how else would you get there?) and a sense of adventure. The school was a conglomeration of locations, each providing a unique and magical backdrop. 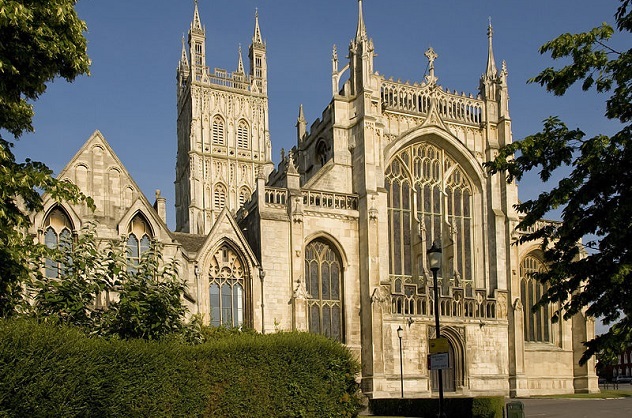 One such location was Gloucester Cathedral, where several hallway scenes were filmed. The cathedral hosts regular tours of the hallways seen in the films. Other locations used for parts of the school include Lacock Abbey in Wiltshire and Bodleian Library in Oxford. Most interior scenes were shot at Christ Church College in Oxford, whose dining hall was recreated for Hogwarts. For the adventurous, Moaning Myrtle’s haunts can be found at Gloucester Castle in Scotland. Indiana Jones went to more exotic places than a lifetime Peace Corps volunteer. One of the most memorable was the temple where the Holy Grail was hidden in The Last Crusade. 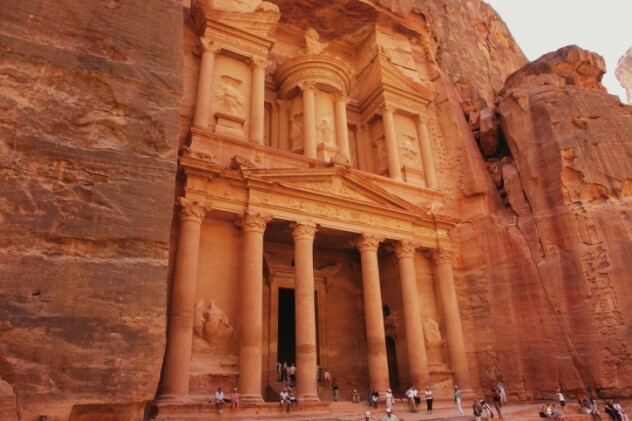 The interior shots were most likely filmed on a soundstage in Hollywood, but the structure that served as its exterior, the cliff dwelling of Petra, can be found in all its impressive, hand-carved glory in Jordan. The Temple of Kali from Temple of Doom may be fictional, but the rope bridge where the epic battle between Indy and the shaman took place is located over the gorge at Victoria Falls in Sri Lanka. 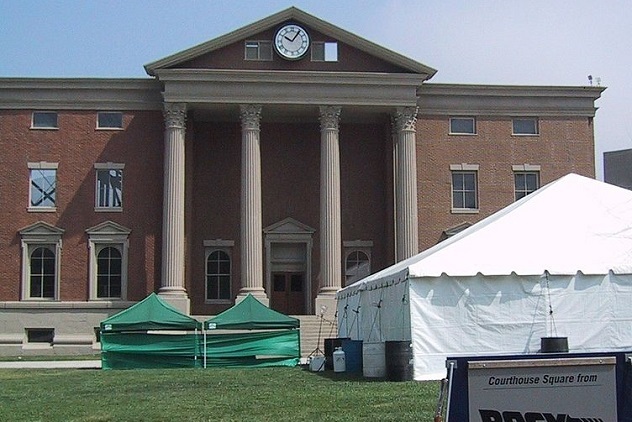 Courthouse Square on the Universal Studios Hollywood lot is one of the most popular filming locations of the last several decades. The list of films and TV shows that have used this set are almost too many to list: Gremlins, Back to the Future I & II, Batman and Robin, Weird Science, The Nutty Professor, Escape From L.A., Buffy the Vampire Slayer, Bruce Almighty, and The Ghost Whisperer have all featured this lot. The entire lot is a facade, and many of the buildings have changed over the years, but it’s easy enough to recognize major buildings like the clock tower. The two fires that ripped through the property in 1990 and 2008 reduced much of the original sets to ashes, including the famous “New York Street” and the King Kong set. Many of the movie film vaults were also destroyed, but the clock tower and most of the square itself remain intact. The square is part of the studio tour, which stops long enough to snap a quick photo or two. For a closer experience and extended photo opportunity, there is also a VIP tour that allows much more interaction. What is there to do with the famous home of a family of inbred, murderous cannibals once filming has ended? Buy the house, move it into the city, and turn it into a restaurant, of course! That’s what happened to the family home where the original Texas Chainsaw Massacre film was shot. 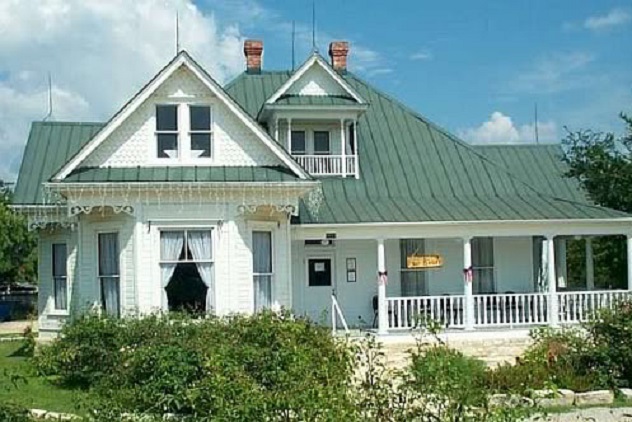 Originally built in Round Rock, Texas, it was moved to Kingsland after it was sold and opened as a restaurant called the Junction House, complete with a Leatherface dummy at the top of the stairs. Although it was adorably kitschy and incredibly creepy, the restaurant did not last. It closed in 2012 and reopened as the Grand Central Restaurant on the grounds of the Antlers Hotel. The new owners downplay the colorful history of the home but nevertheless welcome the business of horror enthusiasts who wish to dine in the same place, though hopefully not on the same food, as the cinematic killers. The 1980s were the decade of cheesy horror B-movies, the most well-known of which would arguably be Friday the 13th, which was set at Camp Crystal Lake and the surrounding town. The real-life location where countless young camp counselors met their demise is actually the home of one of America’s most wholesome organizations: The Boy Scouts of America. 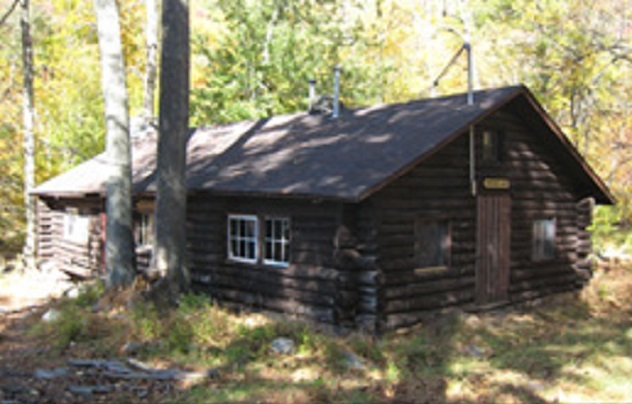 Located in Blairstown, New Jersey at the NoBeBoSco campground, the cabins from the film still stand. With permission from the group, which is granted on occasion, nostalgic types can give themselves the creeps by wandering through the abandoned camp during the off-season. Like most characters in the horror classic, the filming locations from George Romero’s groundbreaking 1965 film were left crumbling in disrepair for decades. The original farmhouse has been demolished, and the basement of the house and the radio station were actually filmed in nearby Pittsburgh. However, the cemetery from the opening and the chapel remained, albeit unrecognizable in their decrepit state, near Romero’s hometown in Evans, Pennsylvania. The chapel was slated for demolition but saved by a group of preservationists headed by Gary Streiner who called themselves “Fix the Chapel.” The roads have been paved, the fields have been developed in many places, and the undead residents appear to have moved on. 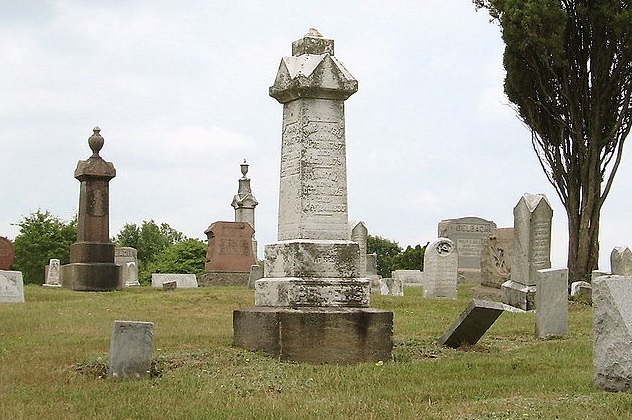 However, Evans City Cemetery and the monument Barbara leaned against as Johnny was torn to pieces remain unblemished and appear very similar to the opening scene of the original. The 1990 remake of the film included the same cemetery as the original and a new, more impressive farmhouse on Jefferson Street, which still stands. Follow Jason Stokes on Twitter.